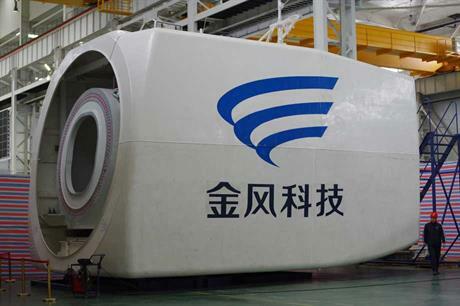 CHINA: Goldwind has completed its its 6MW direct-drive prototype and is testing the turbine at its offshore manufacturing base in Dafeng, according to the company's chairman Wu Gang. Goldwind chairman Wu Gang said it also advancing steadily with designs of 10MW turbines, a part of the national development program to build high-capacity turbines. However, Goldwind has not said when and where it will install the prototype for pilot operation. The 6MW turbine research was upgraded from a previous 5MW turbine development project. The Goldwind 6MW has developed more slowly than was promised. In June 2011, Goldwind said it would complete production of a 6MW prototype and connect it to the grid in the first half of 2012, and go into mass production in 2014. Now, Goldwind has accelerated the pace of 6MW turbine production. While this Friday it had decided to close the MW-level turbine development company in east China's Nanjing city, and shift all the CNY 26.9 million ($4.3 million) funding for the Nanjing project to the Dafeng manufacturing base, which is developing the 6MW turbine. The company does not have any orders for the 6MW machine. Despite offering 2.5MW and 3MW turbines, the company is still heavily reliant on its 1.5 direct drive machine. The company has combined orders for 3,050MW 1.5MW turbines, compared to 1GW of 2.5MW. Goldwind only has 33MW orders for the 3MW turbine.